View of Hither Creek from our deck...so much to enjoy! Hanging out on the deck always nice! 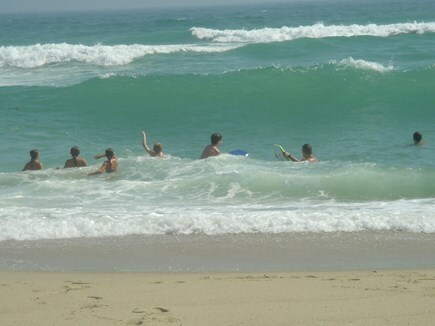 Awesome Boogey Boarding at Madaket Beach! 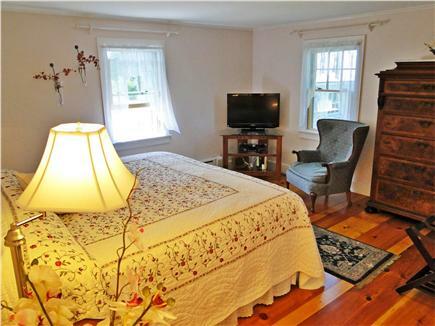 This beautiful, fully equipped cottage sleeps six. Privately enclosed deck and back yard is encompassed by roses, flowers, and wonderful shade trees. 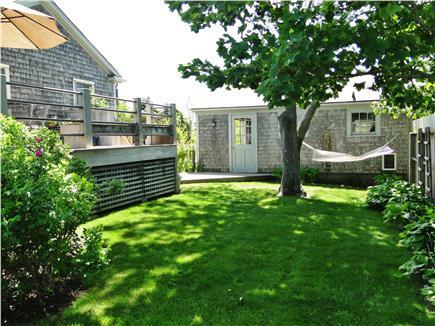 Relax on the deck while listening to the roar of the ocean at nearby Madaket Beach. Night skies are gorgeous with clear views of the heavens since we are not impacted by lights of the mainland...a Nantucket blessing! Spectacular sunsets are another treasure that you may hold in your memory forever! 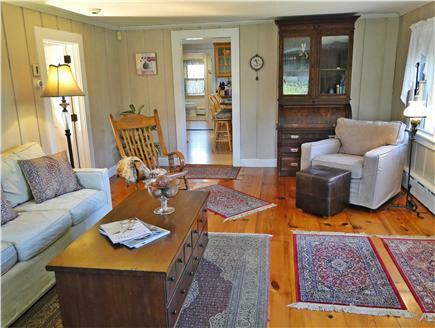 Hither Creek and Madaket Harbor are our views across the street where the Land Bank allows access. Bring your kayak and launch it there! Or watch the sunset over the harbor. 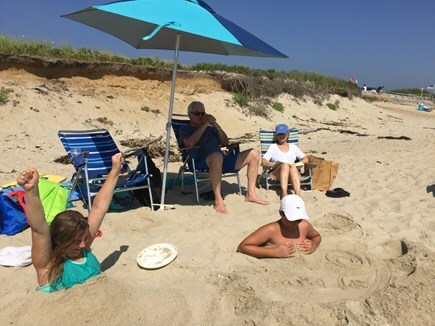 You can walk or bike to Madaket Beach or to a smaller beach for children at Jackson's Point. We are one block from the bike path and bus stop. There are hourly (half hourly during busy season) trips to town or other island points. The island has miles and miles of well maintained bike paths and areas for walking and seeing the island's pristine environment. Our home has wireless high speed internet, outdoor shower, central air, central vac, three flat screen TVs with Blue Ray, DVD and VCR (downstairs) , stereo CD player, bikes which you may use at your own risk ( you may want to bring helmets). Beach chairs and a beach umbrella are also provided. 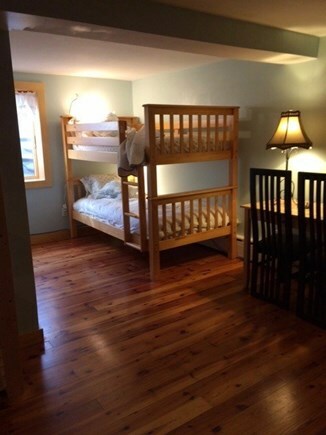 A finished basement, with bunk beds and TV, offers a place for young people to play and spend time together after a busy day at the beach. An egress window allows access to the outside in case of emergency. The open space kitchen/dining area has Corian counters, black and stainless appliances, and everything you need to entertain and feel at home. Locally available fish and farm produce will help to make your stay a memorable one. For those who like to shop, Nantucket's downtown is a mecca of delights with many grand stores and wonderful restaurants! We had an absolutely beautiful vacation at this lovely home! We loved having meals on the deck overlooking Hither Creek. The sunsets were spectacular. Absolutely perfect! The house is so much more beautiful than I even expected. The pictures just don't do it justice. 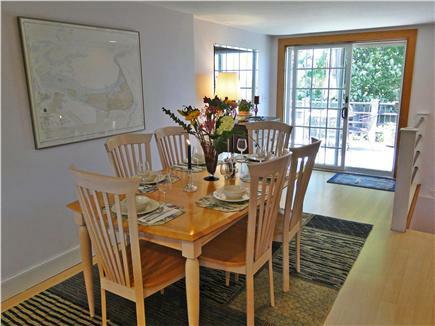 Fantastic place to stay where you feel truly on Nantucket. 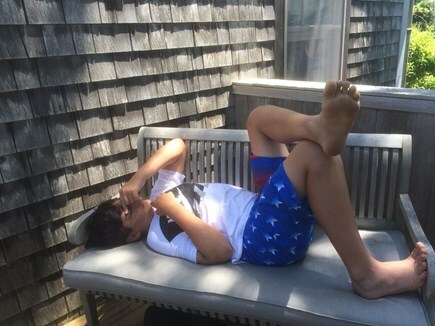 We are very happy that you loved our home and your trip to Nantucket! I returned home yesterday after a wonderful vacation on ! Your home at 8 AM was beautiful and exceeded our expectations. Everything was perfect! Thank you and hopefully we will return next summer. I just wanted to thank you for allowing us to rent your beautiful college in Nantucket! We had a fantastic time on the island and your house was absolutely perfect! 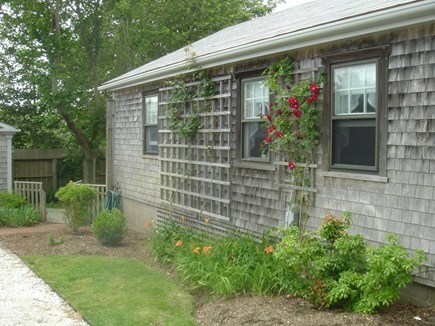 We just returned from a week's stay at this lovely, comfortable Madaket home. It was very peaceful and enjoyable sitting on the back deck with a view of Hither Creek and the Marina. 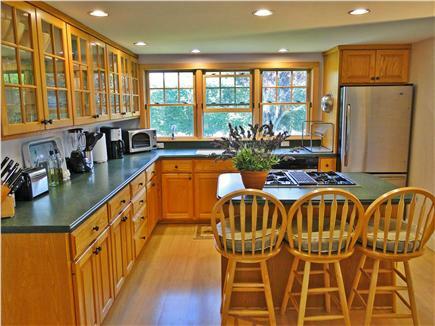 The home is clean/well-kept and has a kitchen that is fully stocked for when you feel like cooking. The owners are attentive and easy to work with. Madaket Beach is a quick drive down Madaket Road - or you could easily bike. Try to catch a sunset. Millie's restaurant is a short distance from the home for good food and drinks. Thank you very much, Pat and Bill, for taking the time to write a review! It makes us happy to know how much you enjoyed your stay. We love the house and are so glad that you do as well! Hope to hear from you again sometime soon. We enjoyed our week at this home very much. 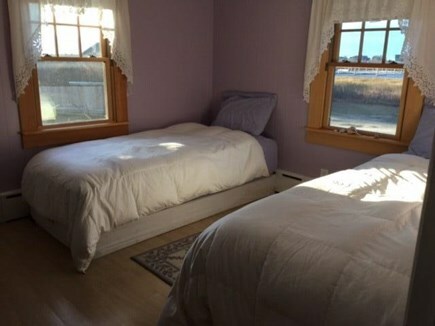 The bedrooms are nicely done, living room is comfy, and the kitchen is terrific. The back deck was our favorite place to relax and watch the sunsets. It's close to the bike path and close to Madaket Beach. Highly recommended. Thank you, Jim, for that great review! We are always happy when our guests love our home as much as we do! When next you visit Nantucket, we'd love to have you back at 8 M. In the meanwhile, be well and enjoy the upcoming fall season! Thanks for such a nice experience . This house was just what we expected during our first visit to ACK. 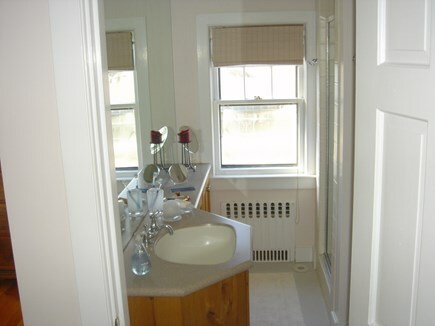 The owner is super helpful with all things Nantucket and very easy to deal with- makes a trip to somewhere you have never been before all much easier for travel. The cottage has everything you need for an enjoyable trip, fully stocked kitchen, games, bikes, the list is endless. 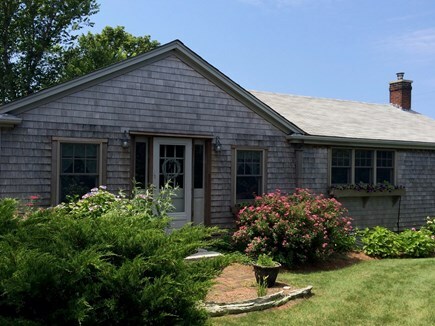 I highly recommend this property in Madaket for your family get together, A+, we hope to be back soon!